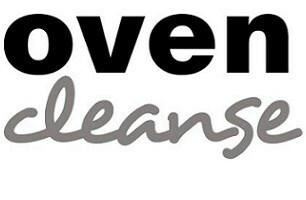 Ovencleanse Oven Cleaning Services - Cleaning Services based in Basildon, Essex. Do you have the time, health or inclination to clean your oven as often as you should? Most people don't. There is usually something else they would prefer to be doing, rather than cleaning a smelly, greasy oven. This is where Ovencleanse Oven Cleaning Services can help. We are a professional, independent, family run oven cleaning company, established by owner Den Robinson back in 2012. Our cleaning methods and safe cleaning materials produce fantastic results and will bring the shine back to your oven. We clean domestic cookers, ovens and ranges in South East Essex. We cover Althorne, Ashingdon, Basildon, Benfleet, Bicknacre, Billericay, Brentwood, Burnham-on-Crouch, Canvey Island, Castle Point, Chafford Hundred, Chalkwell, Chelmsford, Corringham, Cranham, Danbury, Gidea Park, Emerson Park, Grays, Hockley, Hornchurch, Hullbridge, Hutton, Hutton Mount, Ingatestone, Laindon, Langdon Hills, Latchingdon, Leigh-on-Sea, Maldon, Margaretting, Mayland, Maylandsea, Pilgrims Hatch, Pitsea, Rayleigh, Rettendon, Rochford, Shenfield, South Benfleet, South Woodham Ferrers, Southend-on-Sea, Southminster, Stock, Stanford le Hope, Thundersley, Thorpe Bay, Rochford, Upminster, Warley, Westcliff-on-Sea and Wickford. If you would like to arrange an oven clean, or just wish discuss your oven cleaning needs, we would love to hear from you. Most Essex towns and villages within 15 miles of Basildon. We do not cover Kent.